Add style to any wall with forty-five vintage, colorful butterfly and botanical prints—a top design trend for 2017 according to Elle Décor and Better Homes and Gardens. Wall art adds instant style to any space, but paintings, prints, and posters can quickly eat up a decorating budget. 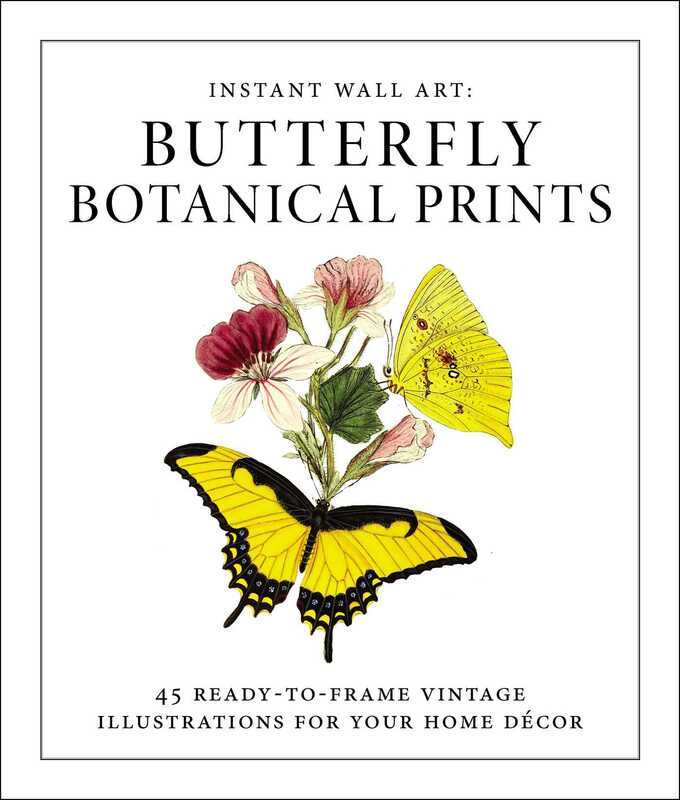 Instant Wall Art: Butterfly Botanical Prints features forty-five beautiful ready-to-frame prints inspired by vintage scientific illustrations allowing you to affordably adorn your walls. The intricately detailed prints are perfect for any type of space whether you are decorating your first apartment or updating the walls in your dream home. Combine multiple prints to create a gallery of gorgeous drawings. Printed on high quality, perforated paper, each 8x10 image is ready for easy removal and quick framing.